PLEASE NOTE WE ONLY ACCEPT GUESTS BETWEEN THE AGE OF 18-40. £10 key refundable key deposit required upon check-in. cash. Debit/Credit/Amex accepted with a 1% service charge on check in. If you do not have these forms of ID, and wish to stay here, please contact us. We provide a selection of rooms (10 in total with 60 beds) including single private double & mixed dormitories with shared bathroom facilities. Most of our dormitories contain triple bunks (3 beds high). We cannot guarantee, a top, middle, or bottom bed. 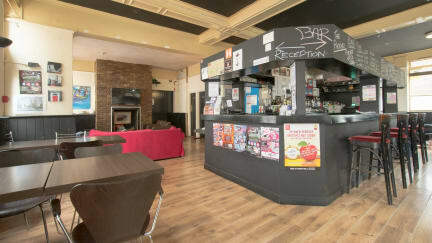 There's a Bar & Lounge area downstairs, where guests receive a discount at the bar. There's a microwave and fridge for guests to use. Guests can cancel their reservation for 50% charge up to 2 days before arrival. After this date the full amount will be charged. This was my first time staying in a hostel, i must say it was an overall great experience! The staff members were very nice and helpful, assisting me in every way possible, going from making a booking to answering all my questions concerning London itself. There were enough showers available, the hostel itself was clean and the common room had a definite home like feeling to it. There was an all you can eat breakfast for just £2, consisting of toast, fruits, yoghurt, juice and various cereals. Friendly staff. Close to the underground, easy access. Facilities were good and there were plenty. No queues. It's clean'ish. Bit of mold here and there in the bathrooms, but hey.. That's england. 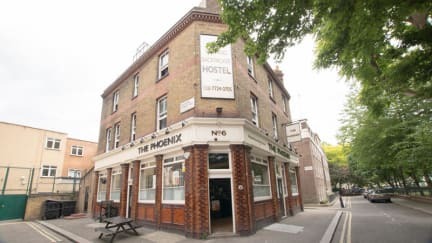 It's cheap and perfect located near the tube. They had a problem with the watertubes during our stay. This was compensated propery. The reception, rooms and bathrooms were very dirty. Asked us to wait 5minutes before passing the stairs because they wanted to take of the tapestry. Although passing just cost us 5 sec. We paid a lot and received bad service. I would never recommend thus hostel.